An Adjustable Chair, also known as a Rise & Recline chair, is one that is powered by electric motor(s) to adjust the back and leg rest, so that the user has a comfortable and well supported in a sitting / laying position. They also raise to allow for easy access to and from the chair. 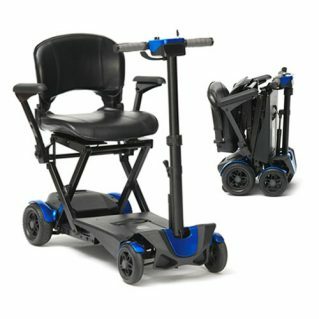 A single motor Adjustable Chair, adjusts the back and foot rest simultaneously, the back rest reclines to a certain position, then the foot rest automatically starts to raise. The single motor type is less expensive than a dual motor, but it is less adjustable. A dual motor Adustable Chair, adjusts the back and foot rest independently, this gives an infinite number of seating positions, and therefore comfort and support is more readly available. There are three types of back rests available, each providing different types of support. Including the Waterfall back, where padding can be added or removed to three areas of the back to provide a personal support system. Size is vital for giving the correct support and providing comfort. Adjustable Chairs come in both off the shelf and made to measure, depending on the user’s requirements.